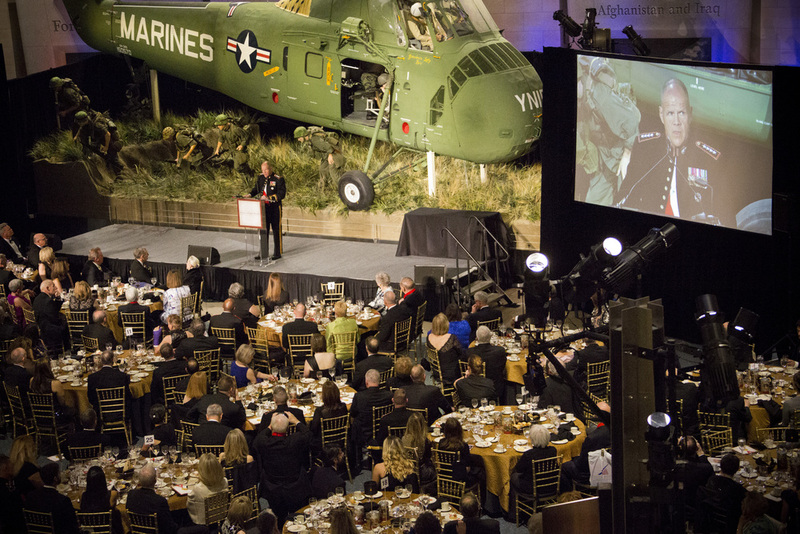 Triangle, VA – Our military is not generally seen as being a proponent of the arts, but the 35 year-old Marine Corps Heritage Foundation recognizes it as a powerful way to preserve and promote Marine Corps history. This year, the foundation hosted over 400 ranking officials and special guests at its annual awards recognizing artworks that embody this goal. One of the highlights of the night was the presentation of the Colonel John W. Thomason, Jr. Award to professional artist Mardie Rees for her sculpture 'Soul of the Forward and Faithful.' 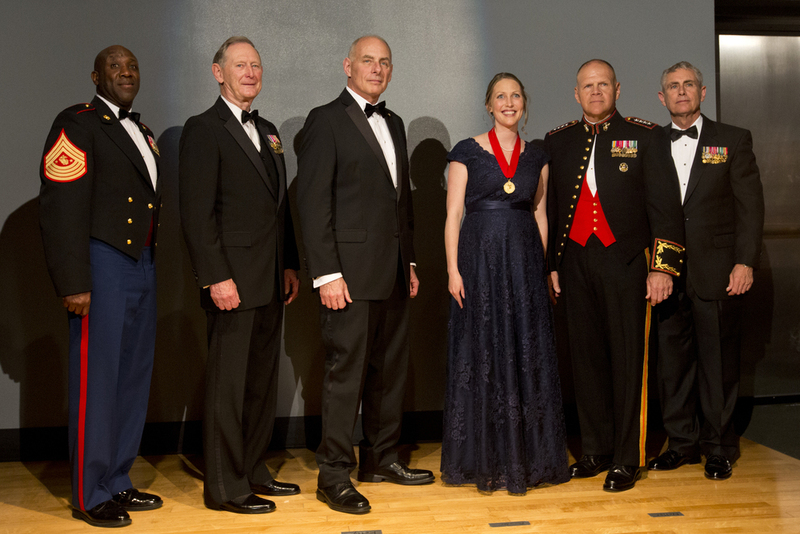 The award is given each year to an individual artist for a distinguished work depicting some aspect of Marine Corps life. The nod also marks the third award Rees’ Marine sculpture has garnered. Award recipients and special recognition guests of the Heritage Award. "It is such an honor to be recognized for something that I created," says Rees. "The truth is that this artwork is for the Marines. It's a way of remembering the sacrifices of our fathers and grandfathers who fought in World War II." The sculpture honors the legacy of America’s first elite fighting force and was commissioned by the U.S. Marine Raider Foundation. Rees spent two years depicting a Browning Automatic Rifleman, a War Dog Handler with his German Shepherd and a Navajo Code Talker. 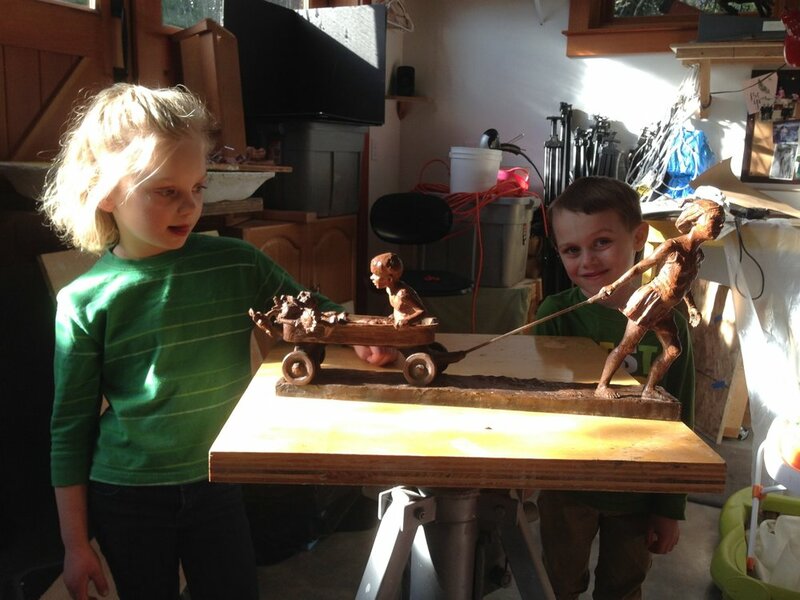 Including its terrain and jungle backdrop, the bronze artwork measures about 4 feet by 3 feet. After completion, it was exhibited to crowds at the Tacoma Art Museum, then the San Diego Air and Space Museum in California. 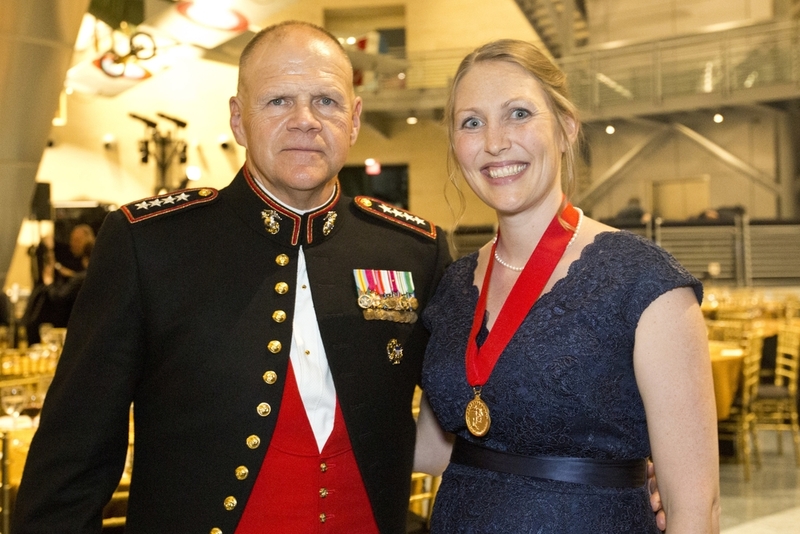 In December 2014, the sculpture was ceremoniously entrusted for life to the National Museum of the Marine Corps in Triangle, Va. However, recent expansion plans saw the sculpture move to a perhaps more fitting location: the Pentagon. 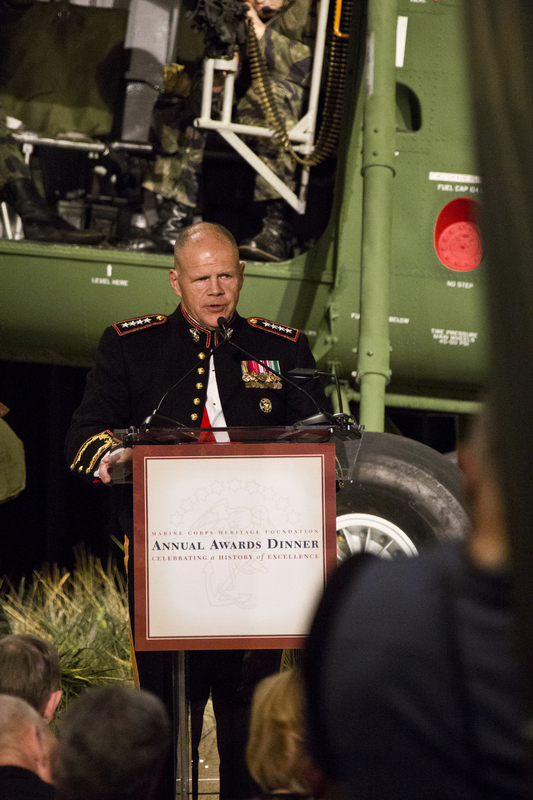 It now resides inside the office of the Commandant of the Marine Corps, Gen. Robert Neller. 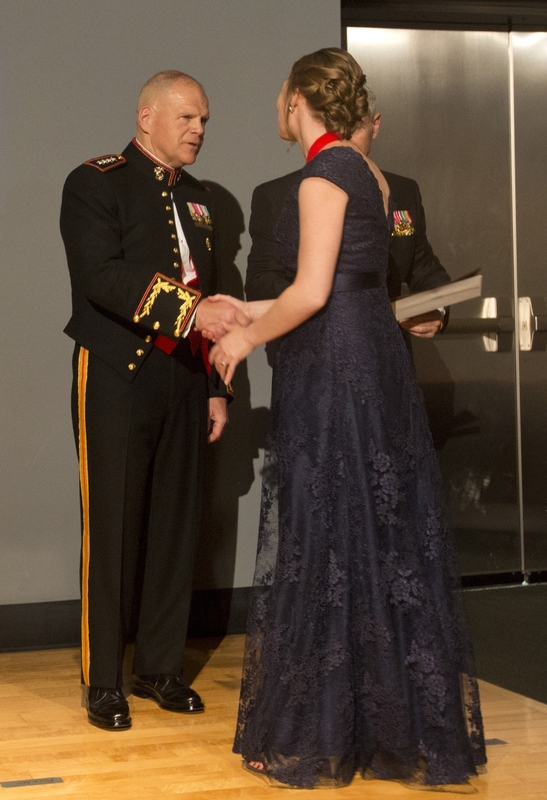 After her award presentation, Rees had a chance to meet the man who took personal interest in her artwork. 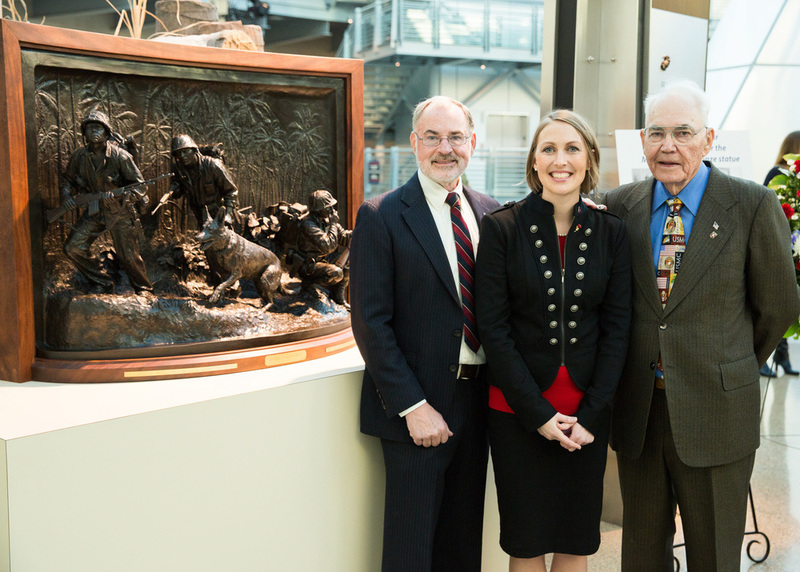 Rees reflects now on the impact that the sculpture has had on her new friends in the Marine Corps, and looks forward to the next opportunity.